Samsung started with only the name of Octa-Core and now it seems that Zopo and Umi are actually on to delivering something really powerful and that is the reason they have named their devices to be equipped with TRUE Octa-Core. 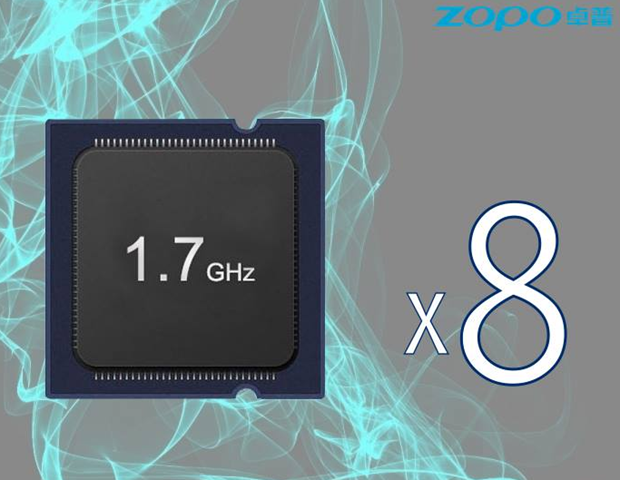 While Umi just announced that they will be coming up with the device named X2S which will offer them with the Octa-Core power but it seems that Zopo will be releasing and launching their device on 21st November (i.e. within next few days). As per the data collected by IDC, it has been seen that most of the users are inclined towards the display size of 5.5 Inches. So, as per the same trend they will be offering this new powerful beast with the 5.5 Inches display size and most preferably this will be accompanied by Full HD (1080p) resolution display (which is really important when you are talking about a flagship device). 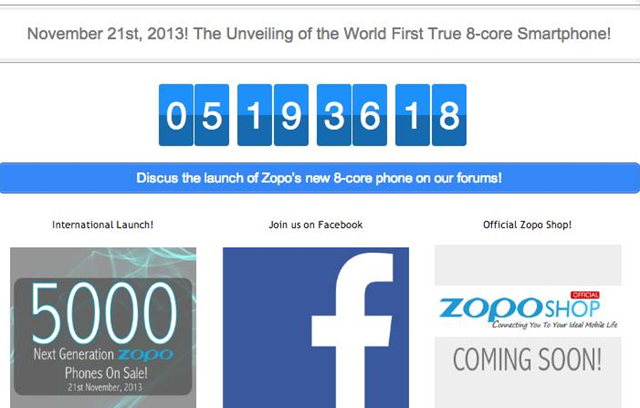 Some of the data has been retrieved from the Facebook Page of Zopo, wherein they have posted a teaser about this phone clearly reflecting one fact that the previous have been dominated by Quad-Core processors and now is the time for a more powerful processor will be replacing them to give you a great experience. Though Huawei is also in the news regarding the same processor but let us see who makes sure that their True Octa Core device reaches first in the audience. 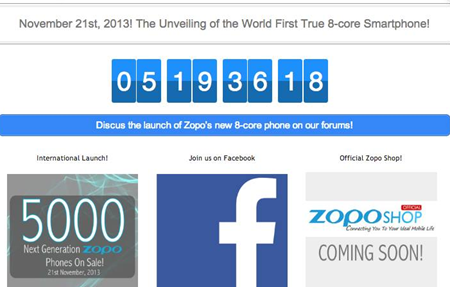 They will be selling off with the 5000 devices on 21st November.